I recently read a guest blogpost from an indie publisher - someone clearly working at the front of the 'new' publishing frontier. Someone who had really interesting things to say about what a writer can and can't do on their own. Someone who encouraged writers to look outside the box, and reconsider what 'getting published' means. Someone who stated outright that an agent was no longer necessary for publishing success in this day and age. This publisher let loose some fairly radical ideas about the future of publishing and encouraged authors to contact them if they wanted to be a part of that. This person answered a lot of comments on the blog post - most of which were dedicated to defending the insistence that authors no longer needed the traditional model of agent / editor / advertising. Frankly, I was impressed with the foresight - excited, even. "We are only accepting submissions from agents at this time." I don't want to work with someone who presents themselves as moving forward in new and exciting directions, but turns out to be doing exactly what everyone else is doing. I'm guessing you don't either. Be careful what you put out there. Be careful what you defend. Because the rules can change - or your opinions might. But first and foremost, think carefully about what you say in social media. Are you contradicting yourself? Because, take it from me, if you do, it makes you look like a tool. I am a big fan of the www.dearteenme.com website wherein authors write letters to their teenage selves. Early last year I was reading it (again!) and observed how many of the letters began with something like "I know you aren't going to listen when I say this, but..." I realized that's exactly what I'd say if I was writing to my teenage self because I know she would have eagerly spoken with me - then dismissed everything I said and run off to do what she wanted anyway. It got me thinking: What if a teenager really could talk to their adult self? How would that work? What would they say to each other? What would the dynamics of the relationship be? And, maybe most importantly, how would they change each other's lives? Depending on what day it is, I've either decided it's YA contemporary with a time-twist, or YA magical realism. (I think my agent's going with the magical realism). 4: Which actors would you choose to play your characters in the movie? This is such a fun question. Don't we always think about this stuff when we're dreaming? I know I do. The problem is, I'm so busy writing these days, I don't really know a lot of the current actors. I'm always on the lookout for people who remind me of my characters, but I literally haven't found anyone who made me gasp and go, "That's Stacy!" When Stacy Watson looks in the mirror she can see and talk to her adult self. But her adult self lies. A lot. And it could cost Stacy the love of her life. I'm really excited to be represented by Brittany Howard of the Corvisiero Literary Agency in New York. That's a fairly new development for me, so I still grin every time I get to say that. Brittany is currently working through edits with me, but we hope to be submitting later this year, or early next. 7: How long did it take you to write the first draft of your MS? The very first draft was written in two stints of about six weeks each, but the stints were four or five months apart. I then spent another nine months revising, getting critiqued, revising some more, etc. From the day I sat down and started writing, to the day I got offered representation was almost exactly eighteen months. 8: What other books would you compare this to in your genre? Hmmm... maybe The Future of Us by Jay Asher? Listen to Me is the third manuscript I'd finished, and the fifth I'd started, so I had well and truly adopted the "Writer" moniker by that time. As for the story itself, I was inspired to write it because high school was really painful for me. It was both cathartic and freshly wounding to relive a lot of my experiences and use those feelings to fuel this story. I wanted to show teenagers that I really (truly) remembered that pain. But also give some hope that those wounds don't need to drive you forever. At the end of the book, Stacy learns some of the lessons I learned in my twenties and early thirties (but of course, she's still young). I found it fun to let someone who is so real to me benefit from my experience - and hopefully avoid some of my mistakes. In the end though, writing (for me) is all about the readers. If one young woman read this story and felt like someone else understood what she'd been through, I'd be ecstatic. If the story offered her hope that the pain of bullying and conditional love didn't have to be a burden for the rest of her life... I'd literally weep with joy. 10: What else about the book might make it pique the readers' interest? There's a really hot make-out scene about halfway through. Seriously, though, don't you wonder what it would have been like to talk to yourself now, when you were seventeen? Your Turn: Let me know if there's any other questions you'd like me to answer about my book or the process of getting an agent. I'm in the mood to chat! Repeat After Me: I Shall Not Write "I Heard..."
Dave smelled the aroma of Charlie's cookies rising from the hot oven. It made his mouth water. Did you pick it yet? Gravel crunched under Noah's boots as he meandered up the driveway. A crowd gathered in the quad. What was going on? The tantalising aroma of fresh-baked cookies rose from Charlie's oven. Dave's mouth watered. Not only does the second technique use fewer words, it places the reader much deeper in the focal character's point of view (and trust me, that's never a bad thing). The closer your reader can get to feeling like they see, hear, smell and touch anything the focal character is interacting with, the more compelling your read will be. So, hark back to the title of this post and remember: every time you come across the phrase "I heard / saw / smelled / noticed..." or "Devon heard / saw / smelled / noticed..." eradicate it. Push the reader deeper. Don't tell them what the character is aware of. Let them hear, see, smell and notice through the character's eyes. Your Turn: Why do you think we often fall into this kind of phrasing? How do you bring your reader deeper into your novel? One of the advantages of critiquing a lot is that I get to see mistakes in other people's work that I know I'm guilty of. While self-editing is never as effective as being critiqued / edited by someone else, it's useful to have something specific to look for in my own work. Earlier this year I was interviewed by Sharon M. Johnston of YAtopia and Downunder-Wonderings. She asked what the most common mistakes were that I saw in manuscripts I critiqued. Well, here's the unabridged version of the answer to that question. I hope it's helpful for you in your self-editing journey. An inability to identify the most efficient way to phrase a sentence. There are two aspects to this; the first is simply using too many words out of ignorance, or lack of revision. But the second is something that's easier to watch out for: Using complicated words, or flowery phrasing in the belief that it adds weight to your writing. "His kiss sent me into the stratosphere in paroxyms of ecstasy that erupted from the top of my head like the molten plasma of a volcanic eruption..."
Learning to phrase an idea efficiently, using an economy of words that are straightforward is a skill that has to be learned by most writers (certainly, by me -- it's something I'm still working on). As far as avoiding this, I think you need to be edited / critiqued by someone whose writing isn’t wordy – allow them to show you how to make your sentences more streamlined, your scenes more focused. Unfortunately, I think a lot of writers confuse writing instruction with judgement of their creative talent. I say "unfortunately " because I really believe that learning the craft (in part through being critiqued by writers who are more skilled, or whose skill-set doesn't match my own) actually unleashes creativity. It equips me to better deliver the vision in my head. Most novice writers "tell " because they don't know they're doing it. Avoiding this is much harder until you can develop the analytical skill to identify it. But as a rule, you want to look for parity of words. In the short-term, showing often takes longer than telling (but because it paints a deeper world, in the long-term your novel will be shorter because things don't need to be explained). To figure out if you're telling on a surface level, take a look at a page of your own writing. Do your sentences conveying action use the five senses (i.e. smell, touch, sound), or are they statements of fact? Another form of telling I often encounter are moments when the author uses the protagonist or POV character to tell the reader what they want them to know about another character. The POV character will proceed to "tell" what's going on in another character's head, or interpret another character's body language. Writers need to learn to trust the reader to gather what's implied in dialogue and body-language. One note on this kind of telling: if you remove this from your manuscript and the reader can't follow what people are feeling / thinking, the problem is in your showing. So offer more body-language, physical sensation, etc, rather than adding narrative. Of all the things I see in manuscripts, this is the one that bothers me the most (especially when I’m guilty of it, I might add). It ranges from unlikely dialogue right through to plot points that defy sense. The reality is you can do anything in a book. But there has to be a plausible foundation in the world-building, character motivations, and plot. Another version I see a lot in paranormal is a character suddenly "sensing" something the reader needs to know. Your Turn: Any questions? Are there any mistakes in your writing that you're aware of, but uncertain how to fix? Margaret Atwood is one of the publishing world's most enduring and respected authors. During this conference speech she outlines the evolution of publishing, what we're doing the same and what we're doing different from fifty years ago - and where it might be taking us. Even though she gave this speech a year or two ago, it's frighteningly relevant. Watch and learn my authorial friends. This is one of the most educational (and amusing) twenty minutes you'll ever dedicate to your burgeoning career. 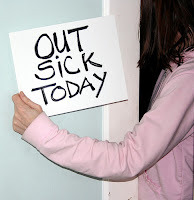 Today I am sick. Sicky sick. Like, not exiting my bed except for the necessities, sick. While I'm in this state of NIL WRITING I'd love to read a really good, solid love story. YA is ideal, but I'll look at anything that's driven by two people falling in love for real. Doesn't it seem like when one thing goes wrong, it's the domino that knocks the rest to the floor? And if one thing goes right, it lifts everything else right up with it? 1. You guys are awesome. All of the writing things going right just now have either been supported by, or cheered for by you guys. When I got to announce my new agent, I was genuinely touched by your response. The outpouring here and on twitter left me gobsmacked. I felt loved. So, far be it for me to turn around and say I'm too busy now. 2. Sometimes you just have to keep going, even when there's not enough time, and too many demands. It's number two I want to focus on from here. See that headline? It's a quote from some author's uncle. The uncle in question was an artist and he understood the creative mind. How easy it is to say "This is too hard! I'm just not inspired." So when his writer nephew approached him for advice, this is what he said. "If the muse is late for work, start without her." If you're sitting at the keyboard and the word aren't coming easy (and believe me, I know the feeling), just keep going. Start without the muse. Start with something that isn't your best work. Start with something that wouldn't see the light of day. Because, the beauty of writing is, we can always make it better. But until we have words on a page, our dreams are nothing but ideas. So... if the muse is late today, or if she's tired, or if she's being a back-biting cow... well, start without her. Maybe she'll come to the party, or maybe she won't. But either way, you'll be that many words closer to achieving your dream. Your Turn: Do you have any sage advice (sticky-note wisdom? Inspiring quotes?) to keep us focused today? Share them here! ...My motto is, you can do anything in a book. And I mean that. YA fiction in particular has some incredibly inventive fantasy elements and plot twists. But if you really want to take the reader into a whole new world, or behind the curtain of a crazy sky, there's one thing you need: Realistic motivations. Click here to read the rest at YAtopia.